Chris is the Senior Partner of the Firm and heads the firm’s Dispute Resolution and Employment Groups. He was trained at the firm and has remained here since qualification. 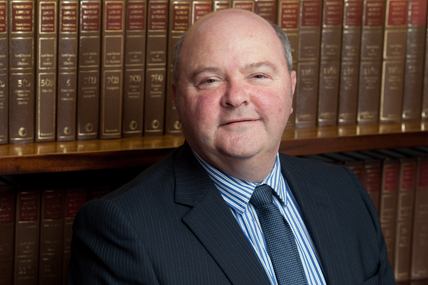 Chris is an experienced trials advocate and has regularly appeared before Tribunals and Courts. Chris has extensive experience of business relationship break down involving employees or owners of businesses. He often deals with high value executive exits and the employment aspect of complex corporate restructuring. His practice encompasses most areas of employment law, minority shareholder dispute work, partnership disputes and aspects of contentious insolvency law arising from his commercial litigation background. He is a member of the Industrial Law Society. Recent matters of note include advising on exit agreements for a multinational plc with cross-frontier jurisdictional and tax issues; advising professional partnership on complex issue concerning Professional Indemnity Insurance issues; advising professional partnerships on employment and restructuring; detailed TUPE transfer advice with insolvency aspects. Chris regularly gives “user-friendly” presentations for clients on employment matters and updates to legislation and working practices. Chris’ interests include football (watching, not playing – Spurs!) country sports and motor-racing (not participating! ).